Researching and enjoying eco tours might not have been on your radar a few years ago. But certainly in today’s day and age the ability to discover and view natural beauty in a manner that allows the area to remain untouched, and actually provide a positive influence on the residents, creatures and visitors that live there for years to come has become a buzzword throughout the world. The true definition of an Eco Tour is defined as "responsible travel to natural areas that conserves the environment and improves the wellbeing of local people." So how does this thinking occur within the Florida Keys and it's surrounding areas? Well for those of you that are discovering the beauty of the Florida Keys for the first time by reading the pages of this site, you will now doubt have come to realize that for many the natural environment of the area is not only something to be protected, but also something that provides a valuable income to many. With some of the greatest fishing, diving, reefs, and wildlife in the country to be found in the Keys, its not a surprise that for many they rely on the continued support and protection to provide for their own families financially. And for many companies they have taken the opportunity to “Go Green” even further, by looking for ways of purchasing renewable energy, such as reducing water usage in the showers, changing air conditioning units, and even using natural products for room furnishings. So if you are interested in further information as to the eco tour that hotels, restaurants, and other Florida Key companies are traveling then follow the links on the right hand side of the page. 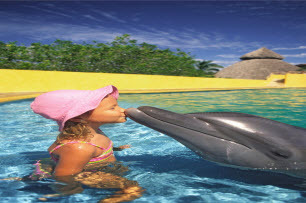 But for the remainder of this section we will list the best and most popular exponents of eco tours, charters, and dolphin tours, we shall start with the best place to visit and start to get a flavour of what an eco tour is all about and how we can all minimize the negative effects we have on the community. Ready to become an eco tourist and discover the wildlife of the Florida Keys? The Everglades are literally on the doorstep of the Upper Keys and Key Largo, and therefore an absolute smorgasbord of wildlife is there to be viewed. From manatees, to crocodiles, alligators to dolphins, the eco tour experts and boat charters can take you directly to the hub of the area. Choose from boat charters, to even powering your own kayak though the mangroves, and sea grass flats, even for multi day excursions, where you can came out under the stars and literally live the life of the Everglades creatures. The Heart Of The Florida Keys has so much to offer for those visitors and residents who long to get close and personal to the wildlife of the area. Whether you want to be a do it yourself Eco Tourist and hire a kayak to paddle of to the coral reefs, islands and flats around the shoreline, or hire a local charter to get your near turtles, dolphins and other marina natives of the Florida Keys you can. The center was created to provide a one stop resource for both visitors and residents of the Florida Keys. Its main message to teach us all, that whatever we do in the area, the eco system of South Florida is one that when damaged may never be able to recover, so we must all do our bit to protect it. Built over 6000 feet, and at a cost of $6,000,000 this attraction is a must see, hands on type exhibit, which surprisingly due to the cost it took to open is free to all. The parking is free too which is unusual in the area. Now you have got a greater understanding of what eco systems, eco tours and being eco tourists are all about let's point you in the right direction for the operators and providers of the best eco tours and trips in the Florida Keys.